For special occasions, men wear a light coloured shirt and coloured trousers. 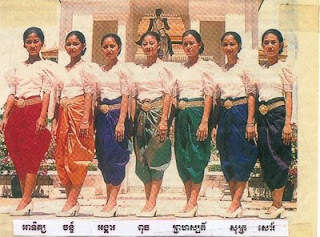 Women wear a silk sampot with matching hol (a type of shirt). In the evenings they often wear a phamuong or hol which is a silk dress with intricate patterns at the hem. They choose their sampot to match the traditional colour for the day of the week when the event is held.